The story of Mai Ya Xiong and her family and their journey from the Ban Vinai refugee camp in Thailand to a new life in Madison, Wisconsin, is extraordinary. Yet it is typical of the stories of over 200,000 Hmong people who now live in the United States and who struggle to adjust to American society while maintaining their own culture as a free people. "Mai Ya’s Long Journey” follows Mai Ya Xiong, a young Hmong woman, from her childhood in Thailand’s Ban Vinai Refugee Camp to her current home in Wisconsin. Mai Ya’s parents fled Laos during the Vietnam War and were refugees in Thailand for several years before reaching the United States. But the story does not end there. Students will read the challenges Mai Ya faces in balancing her Hmong heritage and her adopted American culture as she grows into adulthood. 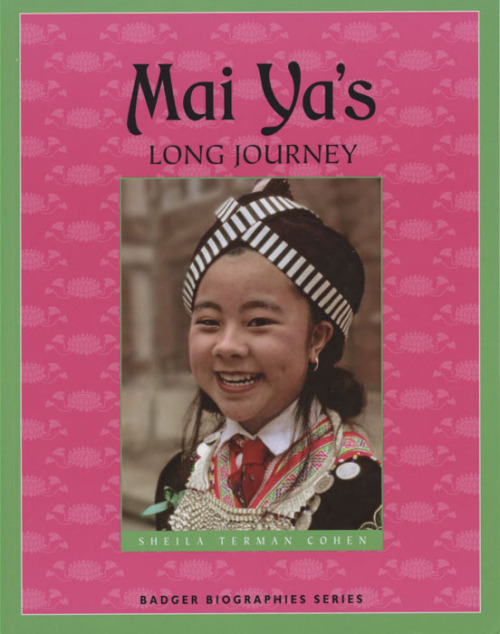 Mai Ya's Long Journey won first place awards in juvenile/adolescent non-fiction literature from the Council of Wisconsin Writers, Inc. and The Independent Publishers Association. Learn how childhood adventures inspired Wisconsin writer Sterling North to pen one of the best-selling children’s books of all time, Rascal, in the Wisconsin Historical Society Press’s new book for young readers, Sterling North: and the Story of Rascal. Rascal was the name of North’s childhood pet, a raccoon he befriended in the early 1900s after his mother died of pneumonia when North was just 7 years old. Together, North and Rascal enjoyed many adventures and changing times in their hometown of Edgerton, Wisconsin, including witnessing the effects of World War I, the Spanish flu, and the invention of the automobile as well as enjoying the adventures of camping, fishing and racing the streets of Edgerton on North’s trusty blue bicycle. These were the experiences North drew upon for his beloved children’s book, one of many books the award-winning author wrote during his celebrated career. 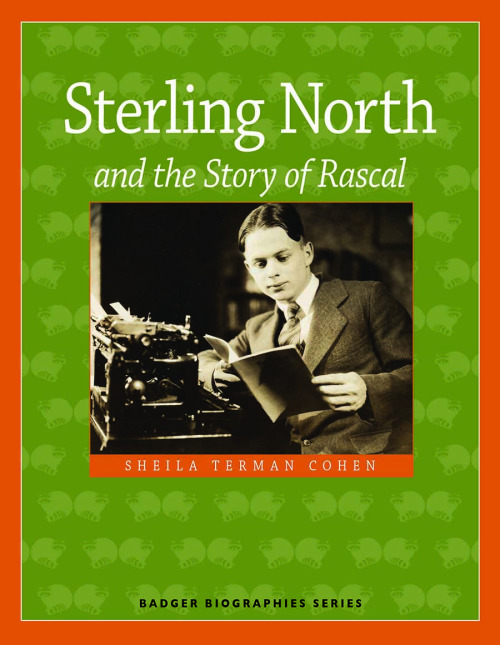 Sterling North: and the Story of Rascal is the newest addition of the Society Press’s Badger Biographies series.It was awarded the 2016 Gold Moonbeam Award for young readers non-fiction chapter book. Earth Day creator Gaylord Nelson comes to vivid life in the newest addition to the Badger Biographies series for young readers. 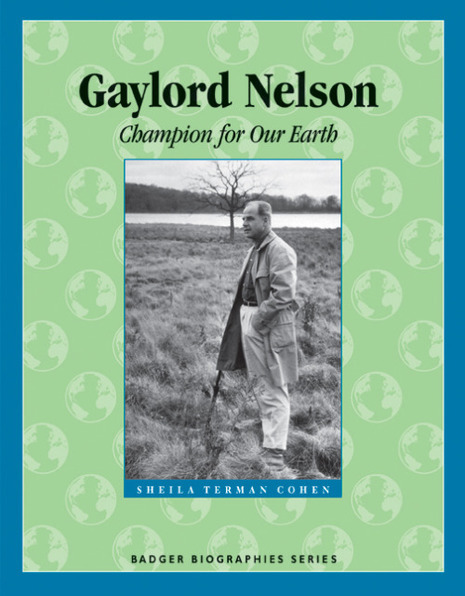 Accessibly written and richly illustrated with historic images, “Gaylord Nelson: Champion for Our Earth” includes a glossary of terms, sidebars on World War II, DDT, and several facets of the environmental movement, plus activities and discussion questions. Gaylord Nelson, Champion for our Earth was named first place winner for adolescent readers by the Next Generation INDE Book Awards. 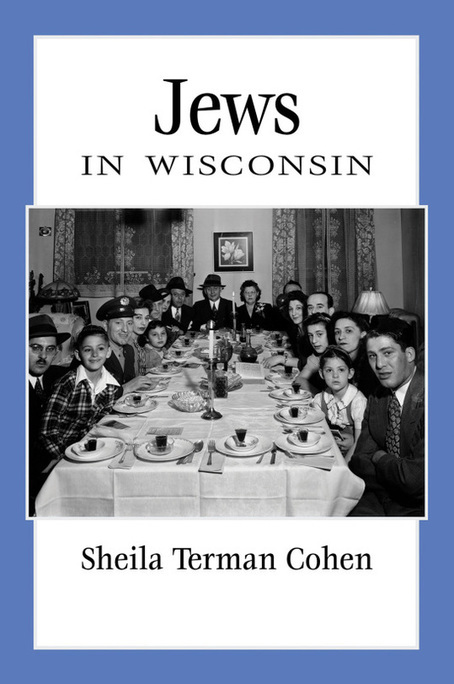 Unlike the other cultural groups covered in the People of Wisconsin series, the Jews who have made their home in Wisconsin are united not by a single country of origin, but by a shared history and set of religious beliefs. This diverse group found their way to America’s heartland over several centuries from Germany, Russia, and beyond, some fleeing violence and persecution, others searching for new opportunities, but all making important contributions to the fabric of this state’s history. Through detailed historical information and personal accounts, SheilaTerman Cohen brings to life the stories of their various trials and triumphs. Jews in Wisconsin details their battles against anti-Semitism, their efforts to participate in the communities they joined, and their successes at holding onto their own cultural identities.